Ships tomorrow if you order in the next 21 hours 9 minutes. A unique transdermal delivery system such as Authia Cream from Cardiovascular Research may be an ideal way to provide the nourishment your skin needs to look its best. 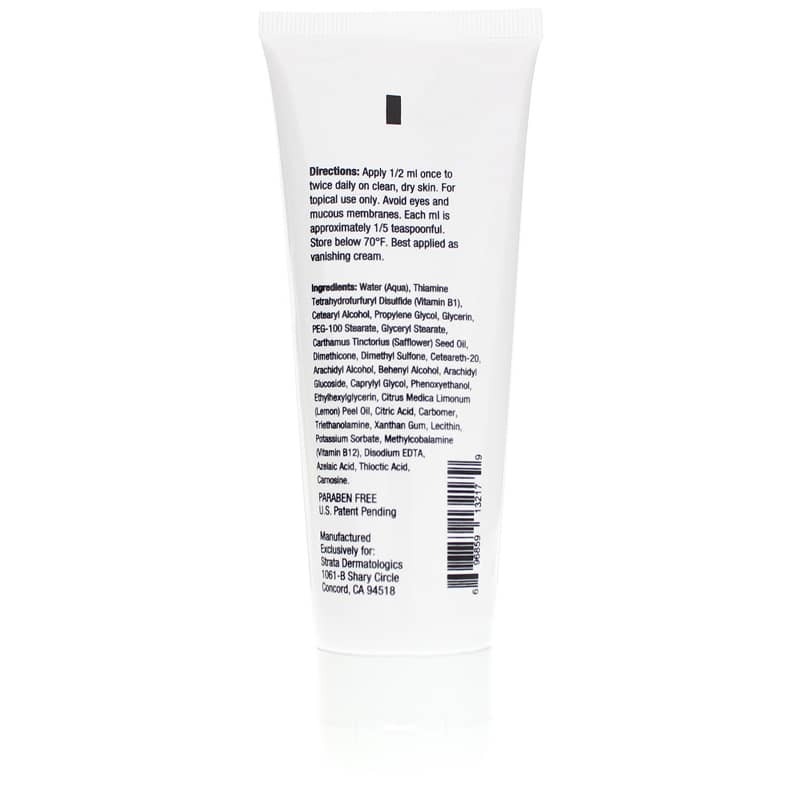 This topical cream is easily absorbed through the deep dermal layers, delivering nutrients as vitamins B1 and B12 into the body for maximum potential benefit. The formula also contains safflower seed oil and lemon peel oil, for natural citrus benefits. Vitamin B1 provides moisture support for dry or aging skin, while vitamin B12 may play a critical role in supporting skin health. Nourish your body with skin-loving nutrients for overall healthier looking skin. If you have a long-term commitment to your health, delivering vitamins B1 and B12 through your skin with a topical cream may help you reach your health goals. 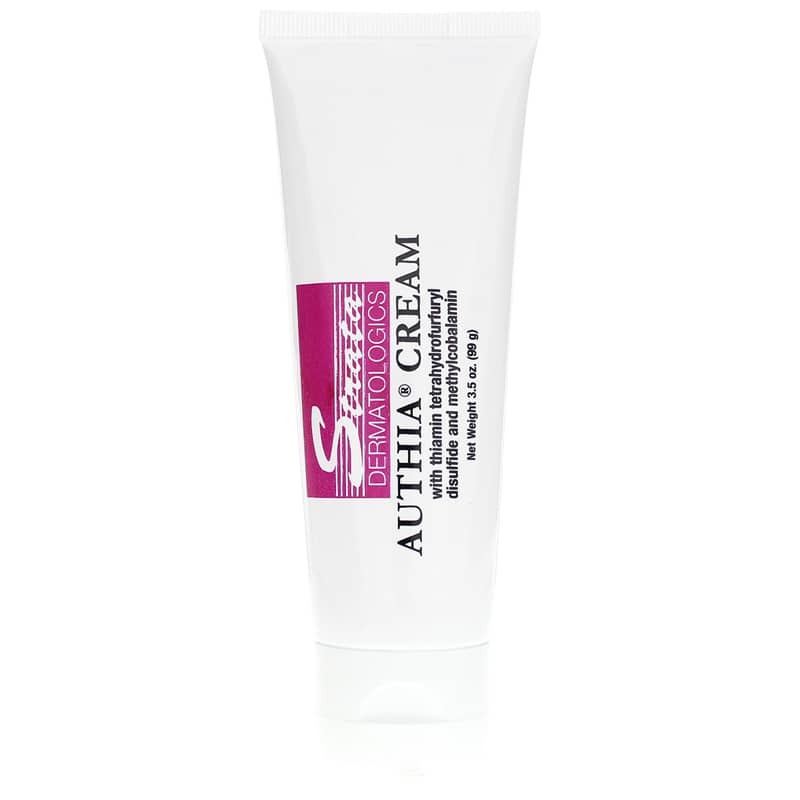 Order Authia Cream from Cardiovascular Research and see if it makes a difference to your health! Purified Water, Thiamin Tetrahydrofurfuryl Disulfide (Vitamin B1) 50mg/ml, PEG-100 Stearate, Glyceryl Stearate, Propylene Glycol, Glycerin, Isopropyl Myristate, Dimethyl Sulfone, Carthamus Tinctorius (Safflower) Seed Oil, Lecithin, Dimethicone, Cetearyl Alcohol, Ceteareth-20, Diazolidinyl Urea, Carbomer, Triethanolamine, Methylcobalamin (Vitamin B-12) 500mcg/ml, Citrus Medica Limonum (Lemon) Peel Oil, Phenoxyethanol, Benzyl Alcohol, Azelaic Acid, Thioctic Acid, Carnosine, Disodium EDTA, Ethoxydiglycol. Adults: Apply 1/2 ml once to twice daily on clean, dry skin. Each ml is approximately 1/5 teaspoonful. For topical use only. For topical use only. Avoid eyes and mucous membranes. Keep out of the reach of children.